Wirelessly transfer & backup your photos & videos. Any kind of transfer - PhotoSync can handle it! Total user control and fully customizable at all times. Be totally independent of cloud services! Operating 7+ years in the market and continuously upgraded. An indispensible tool for photo and video transfers! Quickly transfer photos & videos to and from your computer (Mac & Windows PC) over Wi-Fi. No cloud needed! Two powerful options are available: 'Drag & drop to devices with the FREE PhotoSync Companion tool' and 'Web Browser Access'. Backup your photos & videos from iPhone, iPad and Android devices to Windows PC or Mac over the local Wi-Fi network. Photos & videos are transferred in full resolution with all metadata intact. Send photos & videos directly from your Windows PC or Mac to iPhone, iPad and Android devices over the local Wi-Fi network. 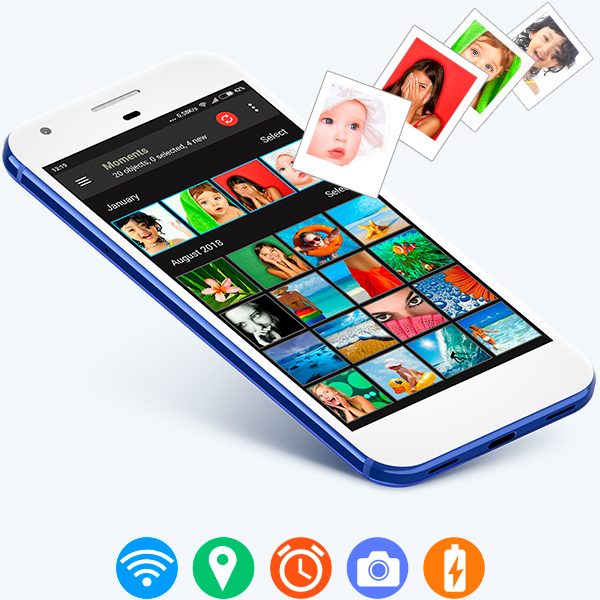 Received photos & videos are imported directly into the Camera Roll, Android Image Gallery or user-defined album. PhotoSync keeps track of your actions and notes which photos & videos have already been transferred. Highly configurable storage, naming and transfer quality options mean you retain full control of your photo & video transfers at all times. Your photos & videos never leave your local Wi-Fi network nor go over the Internet! Note: Transfer speed depends on the quality of your local Wi-Fi network. Transfer photos & videos to your device in seconds with the FREE PhotoSync companion for Mac and PC. 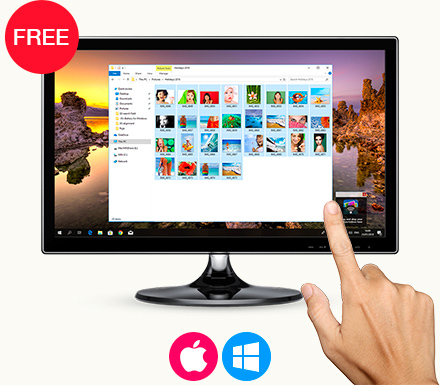 The FREE PhotoSync Companion for OS X and Windows PC makes the photo and video transfer experience quick and easy. Just drag your photos and videos onto the PhotoSync icon to beam to your phone and tablet. On Mac computers the PhotoSync Companion enables direct import into MacOS Photos App. 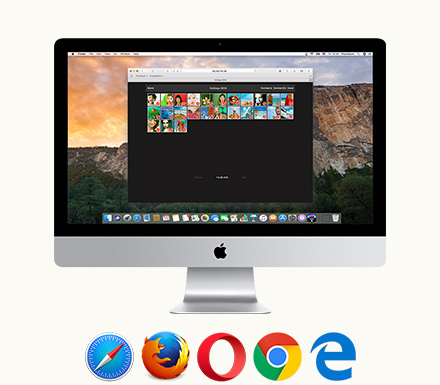 Wi-Fi access your photos & videos wherever you are – by opening a web browser (Windows, Mac, Linux)! View your photos on a big screen, download and upload selected photos & videos to your phone and tablet. A great feature when at friends! Web-sharing allows you to browse and view all your photos & videos from a web-browser without downloading or installing any software. Access to web-sharing can be protected with a login and password. 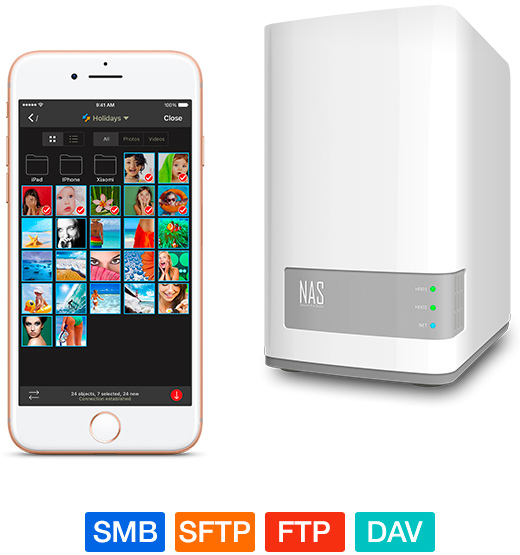 Securely backup photos & videos directly from your iPhone, iPad and Android devices to any NAS, remote server or personal cloud over (S)FTP, SMB or WebDAV. You can also download and view photos & videos on (S)FTP, SMB and WebDAV servers. Quickly upload and download photos & videos whilst on-the-go to your wireless USB sticks and portable hard drives over (S)FTP, SMB and WebDAV. 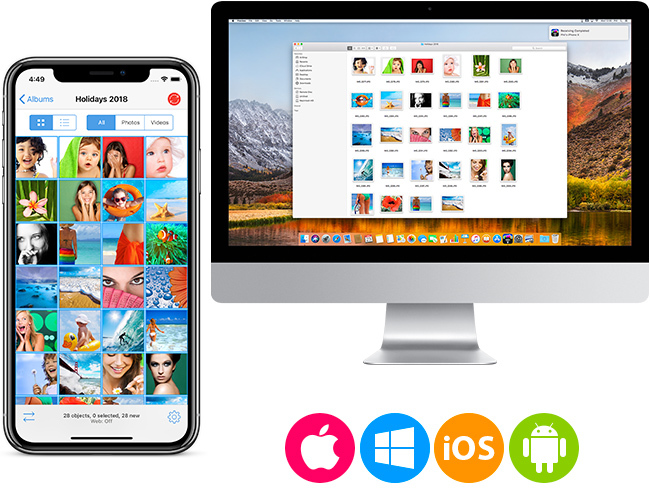 Automatically transfer photos & videos directly from iPhone, iPad and Android devices to computer (Mac/PC), NAS, wireless mobile storage devices and supported cloud & photo services. 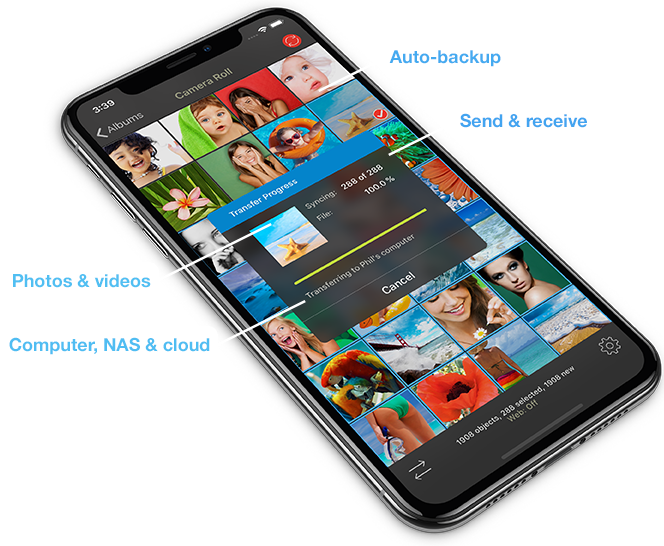 Easy and reliable transfer solution for automatically backing up new photos & videos in the background from your iPhone, iPad and Android devices to predefined targets. Note: Autotransfer on iOS is "location based transfer" only. It also includes iBeacon support. Upload and share photos & videos from your iPhone, iPad and Android devices to your favorite cloud and photo services over WiFi & 3G/LTE. 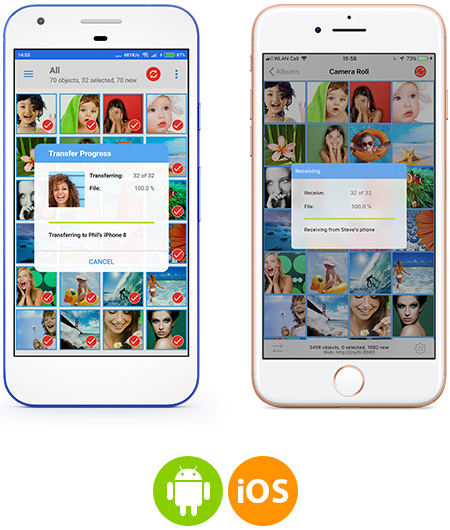 Import photos & videos stored on your favorite cloud and photo services directly into your Camera Roll, Android Image Gallery or user-defined albums on your device. You can import selected, all or new photos & videos. Note: 3rd party services require a user account for that service and an Internet connection. Transfer photos to / from SugarSync – available only for iOS. 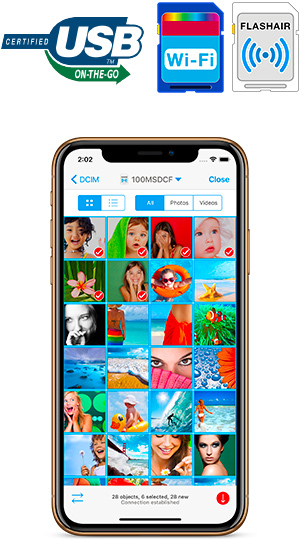 Directly send and receive photos & videos between your iPhone, iPad and Android devices over Wi-Fi & Bluetooth – no computer or cloud needed! Cross-platform support. Directly move, copy and share photos & videos in full resolution between your iPhone, iPad and Android devices over Wi-Fi. Transfer over Bluetooth between iOS devices also available. No user account or log-in required! Use the integrated filters to browse and select your most memorable photos and videos for transfer. Note: To transfer photos & videos between iOS and Android – both devices need to have PhotoSync installed on them and be connected to the same Wi-Fi network. Take pictures, videos & RAW photos on your camera equipped with a Toshiba Flashair™ or Transcend Wi-Fi SD Card and download the full resolution files directly to your Camera Roll, Android Image Gallery or user-defined albums. View the photos & videos stored on your camera in full detail without having to first import them. PhotoSync supports the transfer of photos & videos stored on your USB or SD device connected with a USB On-The-Go (OTG) adapter. (Android only). Transfer new photos & videos to a predefined target by pressing and holding the 'Sync' button. No additional interactions required! PhotoSync remembers which photos & videos have already been transferred and let‘s you transfer new photos & videos with one single touch! View, transfer and import RAW photos without any limitations! PhotoSync never tampers with your photo & video files. Transfers original files and preserves EXIF metadata including location data in all directions. Send and share photos & videos directly from any application via PhotoSync. View photos & videos directly in PhotoSync, as well as print and open photos & videos in other apps directly from the viewer. Specify target destination folder or album, create sub-directories, configure file names and privacy levels. Configure picture and video transfer quality options separately for Wi-Fi and Cellular transfers. Change the theme to completely alter the look & feel of the interface. A dark theme and light theme are available.